End of the School Year Special Ed. 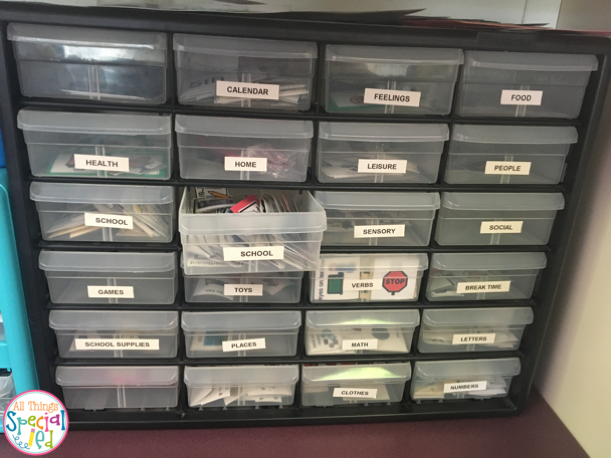 Classroom Organization - All Things Special Ed. The end of the school year is fast approaching and that means none other than packing up and cleaning! Here are several tips that help me stay organized and helps me when I return to the classroom for the next school year. 1. PECS organization: I keep all my pecs in a multi-drawer container.This helps putting aways PECS and finding PECS so much faster! For some of my kiddos I keep their picture schedules and put them away for the next school year but for some I need to clean out and will revisit it when school starts back up. Having an easy and functional system that works for you is a must! I hate having to recreate little pictures or throw them out when you can reuse them. Plus I always have a para or another sped teacher popping in to find that one picture (instead of hopping on the computer to make one and waste time especially if not needed!). 2. Bulletin boards: At my school we can keep bulleting boards up. What I do is keep up my fabric (I use fabric because it doesn't fade like paper does) and a boarder and then I will add more when I return from summer. Other teachers like to put everything up and then cover it with butcher paper over the top so then the board doesn't fade over summer. 3. Summer Deep Clean: Do you have to put everything away and push it aside for the Janitors to clean during the summer? One way that has saved me time is taking a picture of what my classroom looks like before I push everything aside so when it is time for them to put your room back in order they have a clear picture of how you want it set up! 4. Classroom Library: Do you have a classroom library? If so I am sure it is in need of some TLC and reorganization from the school year. Take the time to organize it and put the books back in the right spot now because by the time school starts back up, you will really love yourself! What are some end of the year cleaning and organization tips that you do? Leave a comment, I would love to hear from you! 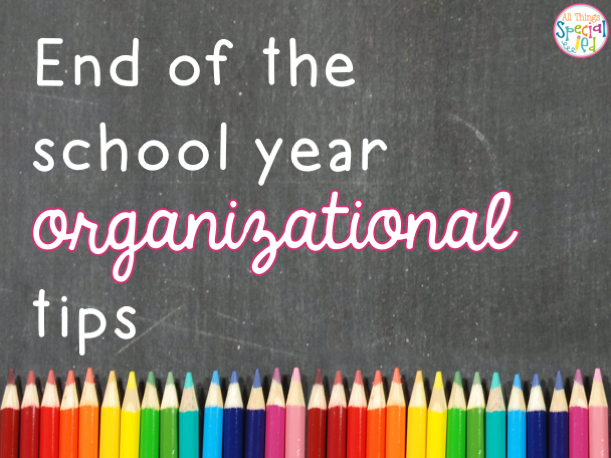 Want to learn more great end of the year organizational tips? 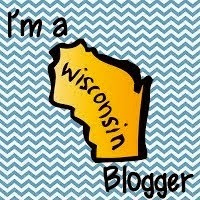 Stop by these blogs! Love it! 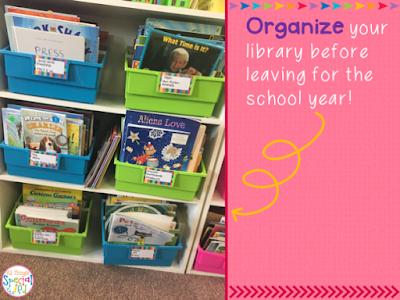 Would you be willing to detail how you organize your classroom library? I feel like I can never quite get it figured out as a first year teacher. I would like to personally congratulate you as your blog All Things Special Ed has been selected by our panelist as one of the Top 100 Special Education Blogs on the web.